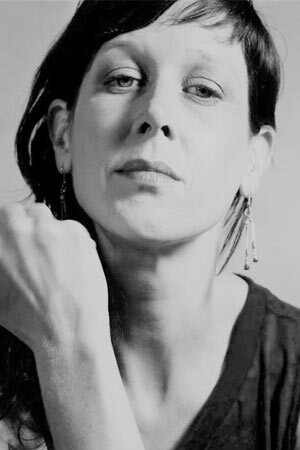 Amy is a dance artist, choreographer, dance educator and the Artistic Director of Dance in the Annex (DITA) – a Grand Rapids based modern dance collective. DITA regularly hosts master classes, produces large-scale concerts, and creates live and dance-film works that are site-specific with an emphasis on process. DITA collaborative works regularly take place at 337 Project Space, Avenue for the Arts, Urban Institute for Contemporary Arts, and SiTE:LAB. DITA was awarded the Time Based Juror Award for their piecerespirador(breather) at ArtPrize 2014. In 2015 Amy was awarded the ArtPrize 2015 Fellowship for Emerging Curators and was the YWCA Tribute Award Honoree for the Arts. Amy has served on faculty at Grand Valley State University, Blue Lake Fine Arts Camp and is a regular guest artist and choreographer at studios, schools and universities around West Michigan. Amy is currently on faculty at Michigan Ballet Academy and Civic Theatre. I am always inspired watching people on stage. From pre-professional to professional I love watching the determination and vulnerability that is required of performers. I have even been known to get teary-eyed, but shhh…don’t tell anyone. One of my favorite movies of all times is Monsters, Inc. I absolutely love John Goodman’s character “Sullivan.” He’s fierce but sweet. Kind and determined. What more could you want in a friend?